The attorneys of Senak Keegan Gleason & Smith, Ltd., have a demonstrated expertise in managing large-loss subrogation cases. Our attorneys have achieved successful recoveries in a number of high-value subrogation cases including the O’Hare Airport People Mover Collision, the Chicago Housing Authority High-Rise Gas Explosion and the Chicago Flood Case. We have represented the subrogated interests of some of the largest commercial, industrial and residential risk insurers in the country. Our success in this area is based on a simple formula. We begin with an early and thorough factual investigation of the loss site. If the loss investigation is ongoing, our attorneys immediately proceed to the site to respond to any legal issues that might affect the recovery effort and to begin the investigation. Evidence is gathered and preserved in a form that ensures its ultimate admissibility at the time of trial. Witnesses are interviewed and documents are gathered with the intent of identifying evidence that supports our claim and negates the anticipated defenses. When needed, we retain experts who are not only knowledgeable about the relevant subject matter, but are also able to effectively communicate their knowledge to potential jurors. We then analyze the information and provide our clients with a comprehensive subrogation evaluation and budget that forms the blueprint for the recovery effort. 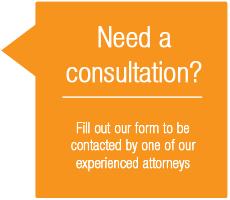 If a lawsuit is filed, we drive the case toward an early resolution by settlement or trial. In doing so, we seek to minimize the recovery costs and promote a good business relationship with our client’s insured.